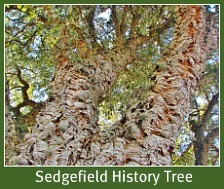 A battle of epic proportions took place in the 1980's over the Swartvlei Peninsula that culminated in an historic court case victory for Sedgefield in 1988. Many of today’s residents have no idea of how different our village could look if the people involved had not been so passionate and determined to fight this good fight on behalf of Sedgefield. 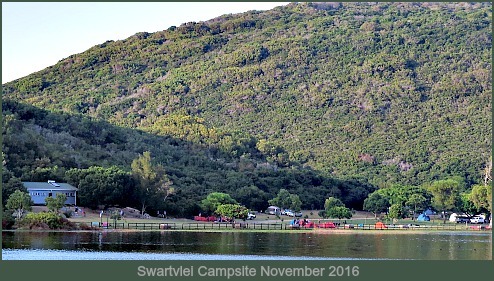 The dispute over the Swartvlei Peninsula came about because of the (fortuitous as it turns out) existence of the Swartvlei camping ground. 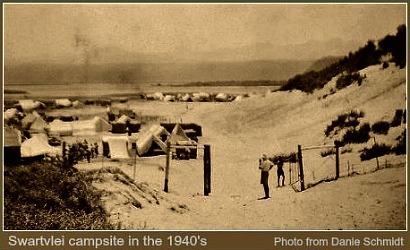 This campsite existed in the early 1800’s when people from the surrounding hinterland as far as Oudtshoorn, Carlitzdorp, Prince Albert and Uniondale, and neighbouring George, Knysna and Elandskraal traveled by ox wagon – an arduous journey taking days over rough terrain - to camp among the dunes of the Swartvlei Peninsula. A fountain in the vicinity provided the campers with fresh water, they collected firewood locally and had access to the bounty of the sea. All other provisions they had to bring with them including dairy cattle to supply themselves with milk! 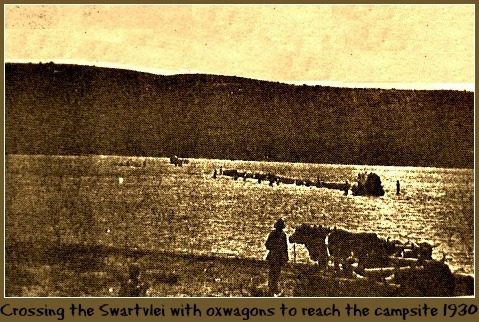 In 1935, the George and Knysna Herald newspaper dated 8 May contains an article “Public Camping Rights at Swart Vlei”. It mentions one Robert Daniel Charles Stevens who was prosecuted by the Forestry Department because he refused to accept and pay for a permit from a Forestry official who approached him at the campsite. 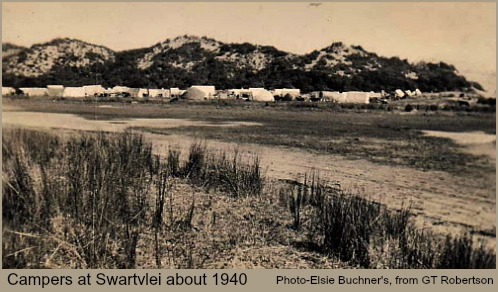 Witnesses ranging from 70 to 91 years of age, Solomon Petrus Terblanche (Roodekraal Farm), Johannes Jacobus Barnard (Bergplaas), and Stephanus Terblanche argued for the defense saying they had camped at Swartvlei with their families as children and it had been known as picnic place before their time. Ministers had held church services there. On the evidence presented the Magistrate, Mr P.H De Villiers conceded that the Swartvlei Peninsula was well established as a public camping ground and charges were dropped against the defendant. Nikki Jones did some research and has added some background to the defendant in the above court case - thanks Nikki! According to his wife's Death Notice the Robert Daniel Charles STEVENS who in 1935 refused to pay for a permit to camp at Swartvlei was a farmer who resided in Woodville. By the time he made this landmark refusal he was a widower, his wife Agnes Martha having died in 1928 aged 29. leaving him with a 3 year old daughter Merlin. The couple had sadly previously lost a child. (Verna). A rather endearing extract from the couple's joint will ( dated 1928) records their bequest to their daughter Merlin. "One sewing machine, one cow & calf, one heifer, one horse and one oak double bedroom suite." 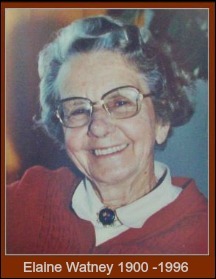 Agnes Martha STEVENS nee STEELE, Robert's wife, was the daughter of William J. Steele and Cecilia Steele nee MITCHELL of Karatara Heights Knysna District. So plenty of local history connected to this family! 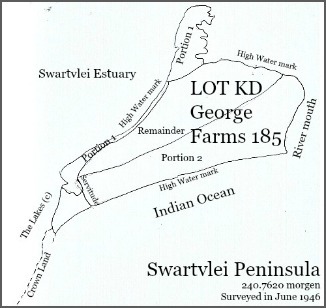 Up until 1947 the peninsula was a single unit known as Lot KD, George Farm 185. 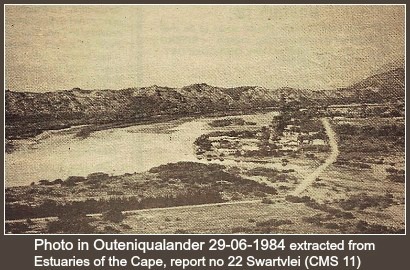 In 1946 however, the Swartvlei Peninsula was surveyed. The land area above the high water mark was measured to be 240.762 morgen in total and 3 distinct sections were demarcated. A narrow section that comprised the salt marsh and the shoreline in front of the dune facing the estuary that widened at a promontory on the northern side. (Portion 1). All minerals - coal, base or precious metals/stones above or below the ground remain the property of the state. The land shall be used ONLY as a public resort unless/until it reverts/is transferred back to the government. No portion of the land may be alienated without consent of the Minister of Lands. The land granted is entitled to a right-of-way of 30 Cape feet wide over the remainder of Lot KD. On 3 February 1953, the Department of Forestry advised the George Divisional Council that the land known as the Remainder of Lot KD, they had been renting from them, with the same conditions as Portion 1, should be transferred to them. The GDC was aware that there was a shortage of public beach resorts along the George coast and an increasing stream of holidaymakers and tourists needing accommodation and recreational facilities in the area. 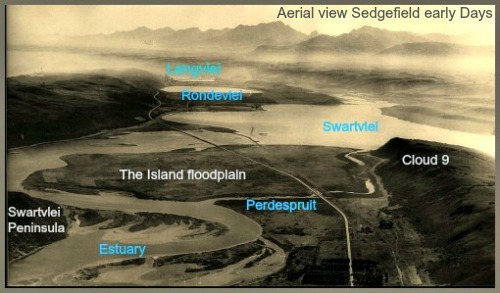 It recognised that the Swartvlei Peninsula was a sizable piece of virgin ground suitable for a township development. Round about the same time, the campers requested that more ground on the peninsula be made available for camping purposes. The Divisional Council had restricted the camping area to try and establish vegetation on the dunes to stabilise the drifting sands. They planted the invasive alien, Port Jackson (Acacia saligna) which has become a menace and has decimated the fynbos. It would not be considered a solution today and attempts are being made by projects like Working for Water, to eradicate it. The photo above shows the state of the dune before the Port Jackson had taken hold of it. At the same time however, the George Divisional Council responded to the Dept. of Forestry, with their own suggestions which revealed a township development plan. This included residential properties for sale and to rent, an extended camping site, sports ground and swimming pool. It argued that being able to sell off some of the land would defray the costs of providing a water supply and roads to the peninsula and contribute to upgrading and maintaining the public amenities. P.W. Botha was at that time a Member of Parliament representing the George District. He was asked by the GDC to assist them with removing clauses from the Swartvlei Peninsula land grant that prevented them from implementing the plan they had in mind. 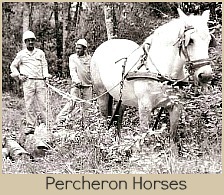 PW wrote a letter to the Minister of Forestry on 21 August 1953 with copies of all the official documents attached, concerning the terms and conditions under which Council rented the ground from the Dept. He firmly requested that the Minister see to it that his department did not interfere with his intention to have certain clauses of the land grant removed. In 1955 the Remainder and Portion 2, an area of 206 morgen, was officially made over to the Divisional Council for recreational purposes (and consolidated with Portion 1 making the Swartvlei Peninsula one unit again) with Crown Grant 188/1955. Now containing 8 stipulations with some clauses amended, in essence, the document was little changed from the previous grant of 1947. 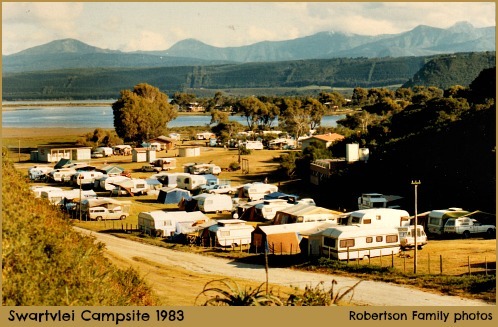 By 1967, unknown to the Swartvlei Campers (and the public at large) the George Divisional Council decided the time had come to resurrect the muted idea of 1953, that the Swartvlei Peninsula was ideal land for needed seaside development. A minuted document stamped with the names of J Vorster(Prime Minister) and CR Swart (State President) authorised the removal of four restrictive clauses on 23 January 1967 that were then registered against the deed of grant No 188/1955. Again, nothing materialised and no plans reached the light of day until 1983–thirty years after the initial proposal! 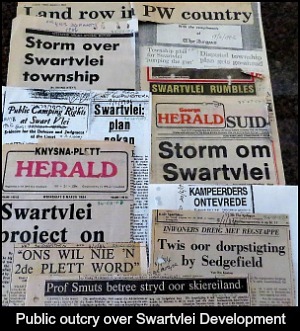 - when the Outeniqua Divisional Council (formerly George Divisional Council) decided to go ahead with the Peninsula township dubbed Swartvleistrand and adverts were placed in the local newspapers as required by law. 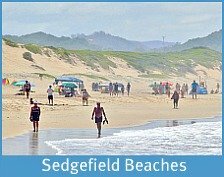 The Sedgefield community were dumbstruck to discover for the first time that a previously unheard of development was planned for the Swartvlei Peninsula. It included 237 house plots, 100 cluster houses, hotel and business area. Access would be through the existing caravan and camping site. The Swartvlei Campers meanwhile, were incensed, believing that their historical rights had been impinged upon without any notification or public discussion. The Swartvlei Campers Association, Sedgefield Ratepayers & Voters Association, Outeniqualand Trust, Sedgefield Town Council, The National Parks Board, Department of Nature and Environmental Conservation all raised objections. The Ratepayers asked Revel Fox & Partners Architects and Planners to assess the Development Plan and report back to them. On all counts the report stated, "In terms of a scientific, planning approach to the identification of optimum use, it cannot be said that the development proposals for the Swartvlei Peninsula can be justified." 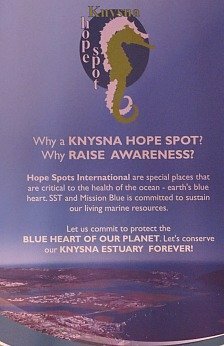 The CSIR “Swartvlei Estuary of the Cape Report of 1983” by AEF Heydorn & JR Grindlay would support the objections. Dr Heydorn suggested that the kind of well-controlled amenity developed by the National Parks Board at Storms River Mouth was a far more appropriate proposal. Such a development would do more to promote tourism in the area than private property ownership on the peninsula. Mr Sydney Press former Chairman of Edgars and a retired Medical Specialist Dr Keith Lewer-Allen were among 104 objections lodged. Many local and national newspapers carried articles covering the growing storm of protest. There were genuine and legitimate reasons for the objections. 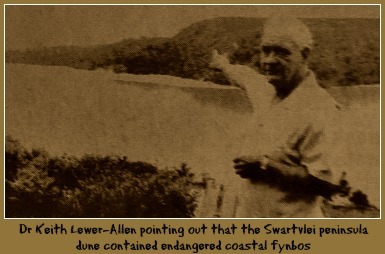 The barrier dune of the Swartvlei Peninsula was composed of unconsolidated sand. Much of the proposed area lay between two dune ridges where properties would have poor views, be south facing and exposed to east winds. Providing services for sewerage, waste disposal, water and electricity would also be problematic and therefore costly as would be transport for domestic help which was in short supply (only 60 coloured families lived in Smutsville at this time). 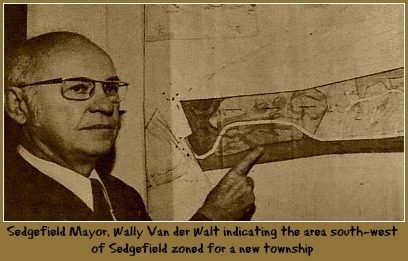 Besides the practical aspects, the development threatened critical coastal fynbos when 1500 existing residential plots in Sedgefield were undeveloped. 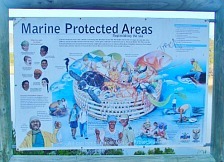 In every aspect, it blatantly contradicted all modern principles of coastal zone management and the unique pristine character of the peninsula expressed through the rich habitat diversity would be irrevocably destroyed. 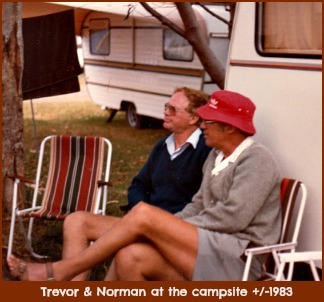 As Chairman and Secretary of the Campers Association respectively, the Robertson cousins Trevor and Norman had family history going back to the 1800’s. 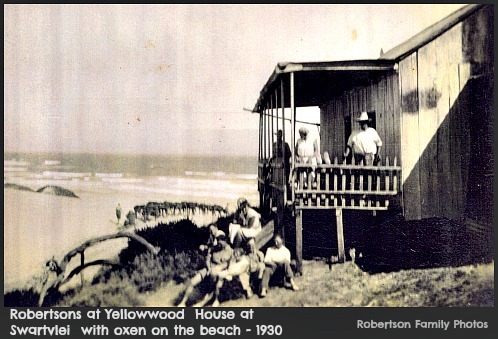 Trevor's grandfather's uncle, William, had illegally built a yellowwood beach cottage on the dune near the Swartvlei camping ground around 1897. 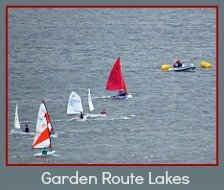 Their uncle, Alfred George and brother of Guy’s father, owned The Lakes (C) i.e. 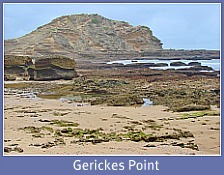 land above Gerickes Point. He was MP for George from 1878 to 1890. Trevor stated in his comprehensive strongly worded objection to the Outeniqua Divisional Council, on the behalf of the Swartvlei Campers, that it would be irresponsible to build anything permanent within 200 meters of the high watermark. He reminded the Council of the floods in 1937 that had swept away the railway bridge situated in the greater Swartvlei causing the Swartvlei campsite to be completely submerged, and the torrential rain in 1952 that had resulted in the worst floods in living memory in the area. 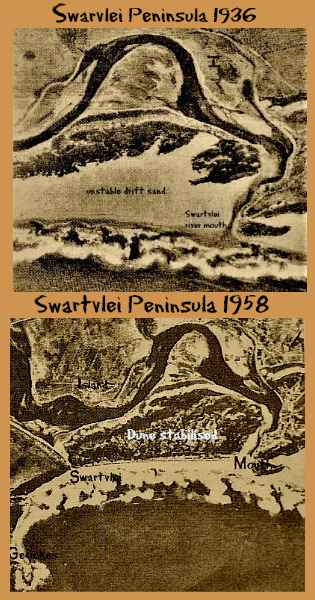 He also said the Swartvlei Peninsula had no top soil and was purely sand that would become extremely unstable once exposed for building purposes- DISASTEROUS! The Objections fell on deaf ears. “Die Ou Krokodil”, PW Botha was unmoved and insisted at a meeting held in Wilderness that he fully supported the Outeniqua Council’s development proposals. Many people felt resigned to the inevitable. 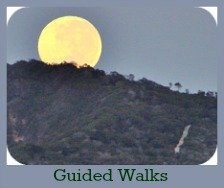 At this time in the mid-eighties, newspaper articles were reporting on the public outcry caused by the new dual carriageway being built through the Garden Route. Wilderness residents were outraged by a large piece of land next to the Serpentine being cleared for residential stands. "Such action desecrated the Lakes area and was causing the resulting loose sand to blow into their houses", they said. In Knynsa, Leisure Isle residents were in an uproar over a large piece of open ground that had been divided up into a number of smaller stands. However, Trevor and Norman of the Swartvlei Campers were not going to take this lying down. Together with Sedgefield Ratepayers, Dr Keith Lewer-Allen and Mr Sydney Press they prepared for a court battle. In a landmark court case these Davids took on a formidable collective Goliath i.e. 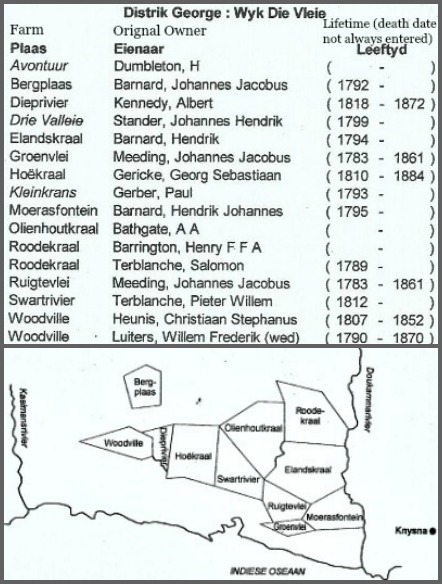 all the establishment pitted against them who had been involved in removing the clauses from the Land Grant – the Government of South Africa, the Minister of Community Development, The Administrator of the Cape Province, the Divisional Council of Outeniqua, the Registrar of Deeds Cape Town, the Township Board of the Cape Province and the Chairman of the Divisional Council of Outeniqua – 7 respondents in all! In 1955, Minister Ben Schoeman had confirmed by letter the reasons for the transfer to the George Divisional Council along with the title restrictions binding successors in title. The existence of this letter was initially denied by the authorities. However, Trevor’s brother-in-law, Hennie Nothnagal (now deceased) as Secretary of Internal Affairs, arranged a meeting with an official he knew had the file because it had been requested for reference by Parliament. Trevor looked over the man’s shoulder as he paged through the file, accidentally saw the letter and was able to write down the reference number and date of the document. He then obtained a copy of letter from the Dept. of Lands by quoting the references and saying he had seen it with his own eyes. At the Deeds Office in Plein Street he discovered an Elder from his church, Chris Wiese, where Trevor was a deacon. He requested that Chris show him the title deeds document for Lot KD George Farms which revealed that critical restrictive clauses had been struck through i.e. removed without the due process required. Trevor then insisted that they look at the original Title Deeds. Chris was very upset as he was responsible for checking such actions. He then went to a lot of trouble to find the cabinet minutes that produced the permission and gave Trevor copies of the minutes and the 2 sets of Title Deeds which he took to the Cape Town lawyers. So through Trevor's relentless persistence, the applicants eventually got some essential documents to support their case in court. Tim Balchin of the Sedgefield Ratepayers and Voters Association took several years to collate documents that would effectively contest the peninsula development. Professor Wynand Dreyer, who lived in Cape Town at the time acted as the go-between for Tim and the Cape Town lawyers, Sonnenberg, Hoffman and Galombik when necessary. 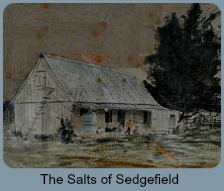 It was through Tim Balchin's involvement that Sydney Press contributed the bulk of the money for the legal costs to fight the case for Sedgefield. The nub of the dispute was whether the State President or any other persons had the statutory power or authority to remove clauses from the Crown grant to effect all the actions that followed through the government departments as a result of that initial decree. 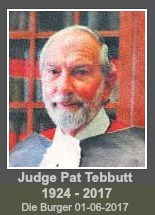 In a 46 page judgement delivered by Judge PH Tebbutt on 3 August 1988, he presented comprehensive statutory evidence to justify the claims of the applicants that removing any of the clauses of the Land grant in 1967 and 1984 had been unlawful and that the Divisional Council of Outeniqua was not entitled to develop the land on Portion 2 of Lot KD No 185 situate near the Swartvlei. His brother, Judge Marais concurred with his judgement. 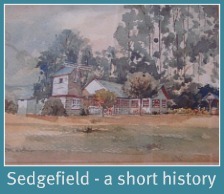 In passing this judgement Judge Tebbutt enabled Sedgefield to remain the village we all appreciate today. 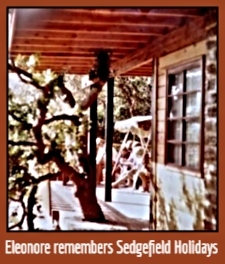 The herculean efforts by a relatively few people have preserved the status quo of the Sedgefield we know and love. 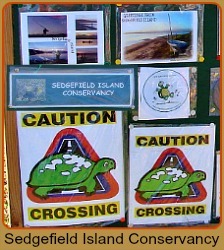 The outcome was an overwhelming win for nature conservation and the Swartvlei Peninsula - the barrier dune with its highly threatened coastal vegetation, that great sweep of pristine beach and the high dune that falls steeply down to the Swartvlei estuary - all of it, such a treasured component of Sedgefield life. The rectifying registration was finally endorsed by the Registrar of Deeds on 29 January 1993 and Trevor received the microfilm reference no. 93-0107-5061 so that there could be no doubt about the outcome in future years. Today the Integrated Coastal Management Plan absolutely vindicates the Court decision. 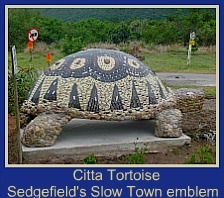 Although many of those stalwarts are no longer with us, the body of the Sedgefield Ratepayers has in this and later instances proved itself a resilient force to be reckoned with. This should encourage them to maintain that same spirit which took on the State and won. Sedgefield residents need to respect and support the Association that is our town's watchdog through difficult times and frequently frustrating and stressful circumstances. It is mostly a thankless task requiring vigilance, patience and tenacity. Revel Fox Architects & Planners Report commissioned by Sedgefield Ratepayers on the proposed Swartvlei Township Development. Dr AEF Heydorn Letter to the Director General-Dept of Environment Affairs about the inappropriateness of the proposed Township. Attorneys Sonnenberg, Hoffman & Galombik's Letter to the Provincial Secretary, Cape Town about the removal of the conditions from Land Grant 188/1955. 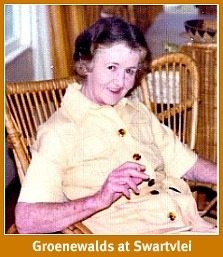 Emails and family photos from Guy Trevor Robertson. Documents in the Sedgefield file and various Newspapers in the George Museum Archives. Documents in the files of the Secretary of the Swartvlei Campers, NH Robertson borrowed from Louise Hart. Documents in the file of Sydney Press borrowed from Mike Young. 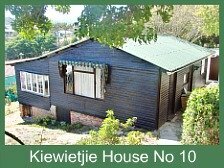 The Robertsons in an article "The History of the old Zwart River Farmhouse...." compiled by Philip Caveney from the Knysna Historical Society. Documents in the file of Professor WP Dreyer.